High winds, saturated soil conditions and weak branches create the perfect storm for damage – storm damage. Property destruction from fallen limbs or trees can leave residents and their homes devastated and unsure how to proceed. In these situations, it’s important to bring in professionals. From pre-storm prevention to post-storm clean up, certified Arborists can help to identify potentially hazardous conditions and reduce damages. In cases of pre-storm prevention, hazards are not obvious to the untrained eye and correcting them can be a dangerous job. While it is impossible to totally protect trees and property from severe storms, a certified arborist can inspect for issues that predispose trees to failure. Based on what is found, appropriate treatments, like pruning, bolting or cabling, pest management, and fertilization can help trees and shrubs better endure weather damage. However, more pressing, and usually more stressful, for a homeowner is dealing with post-storm damages. Fallen trees against houses or garages, or on roofs or electric lines, create highly dangerous situations that should be handled by a professional. At First Choice, when the sirens go off and everyone heads for the basement, we go to work. 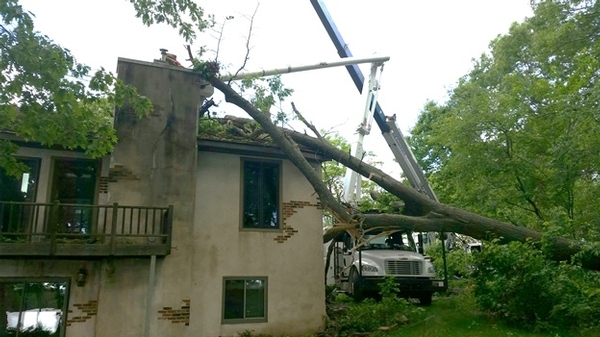 Tree Removal – When dealing with the most severe damage, tree removal may be the only choice. Removal of storm-damaged trees is significantly more difficult than normal removal. 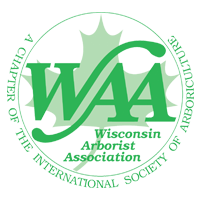 Our expert staff of ISA Certified Arborists is trained to work safely to remove these hazardous trees. Our goal is to remove trees without causing further damage – either to your property or to you. Tree Repair – Often, trees can be repaired by proper pruning, or by placing bolts and cables in the crown of the tree. We will advise you of the best course of action for your tree. Haul and Recycle Debris – Let us do the heavy, and sometimes dangerous, work. Fallen trees are often unpredictable and react differently to forces when they are damaged. After removing debris from your roof, garage or yard, we’ll haul them away to a proper recycling location. Assist with Damage Insurance Claims – While we aren’t insurance guys, we have a lot of experience working with insurance companies in storm damage situations and often times we can expedite your claim by working directly with the insurance company. Call us today to take advantage of storm damage services that will benefit your landscape for a lifetime. Click here to contact us now! Storm damage from fallen limbs or trees can leave residents and their homes devastated and unsure how to proceed. In these situations, it’s important to bring in professionals.